The annual John Day Memorial Race celebrates the Oregon cross-country skiing legend, John Day. Held in February each year by the Southern Oregon Chapter of the ONC, the race is held at Diamond Lake Resort. 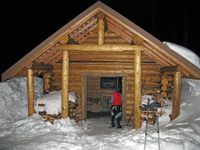 The annual John Craig Memorial Wilderness Classic is held each year in March or April, and celebrates the life of John Craig, who in 1877 won a contract with the U.S. Post Office to carry mail to Central Oregon in the winter by skiing over McKenzie Pass. Craig had the bad luck of starting his first trip feeling under the weather and unknowingly headed straight into a December blizzard. The event commemorates this ill-fated trip. Additional information can be found on the Meissner Nordic Club website.